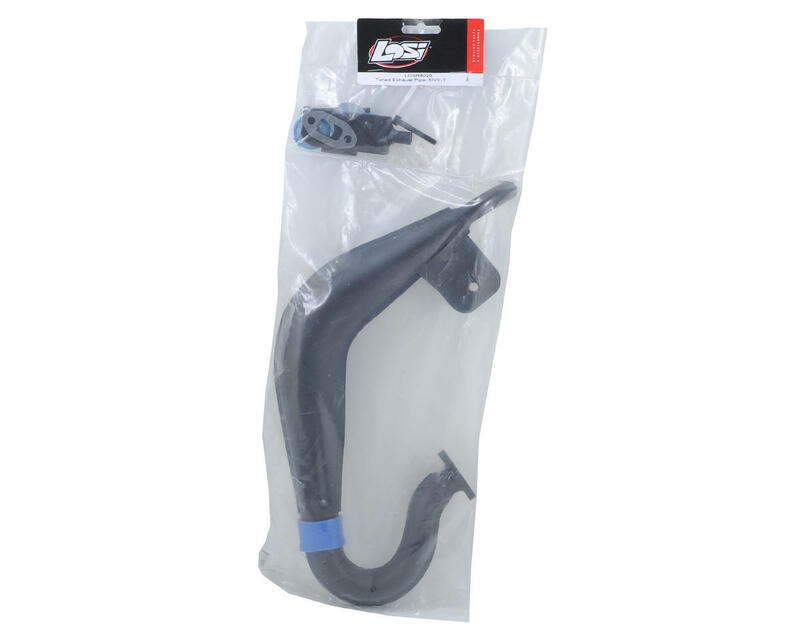 This is an optional Losi 23-30cc Tuned Exhaust Pipe, and is intended for use with the Losi 5IVE-T. This tuned pipe is dollar-for-dollar the easiest and cheapest performance upgrade you can buy for your 5IVE-T. 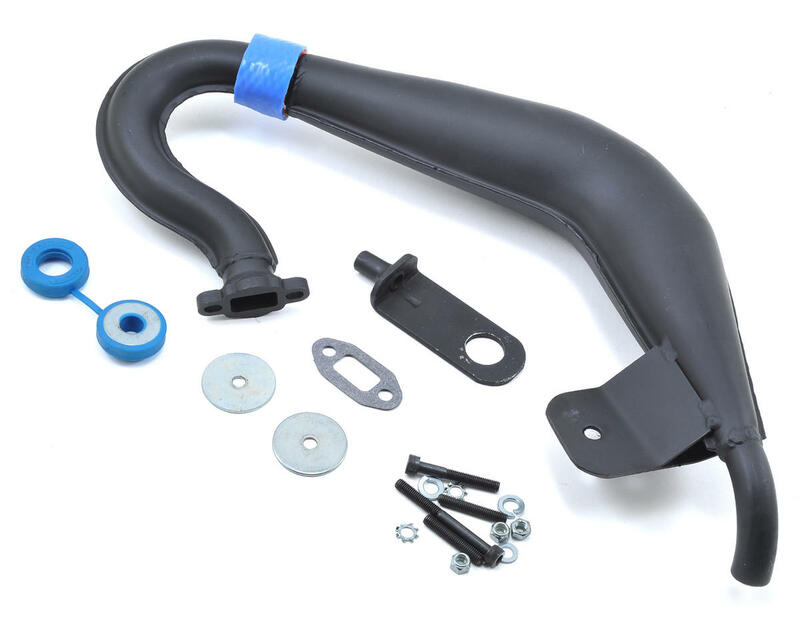 This complete exhaust system uses advanced two-stroke tuning technology to dramatically increase the low to mid range power and throttle response allowing any common 23-31cc engine to reach peak RPMs much quicker. The development was done over hundreds of laps and many hours by the Losi development team with the help of a premier 1/5 scale engine/pipe builder. The design features a separate conical header and an ultra smooth tooled expansion chamber with a telescoping fit for both reliability as well as performance. The use of advanced precise tooling to produce both the header and the pipe optimizes the shock wave effect of the expansion chamber system as well as maximizing durability. The hi-quality steel alloy is coated with a rust and heat resistant black finish for added protection and appearance. The compact design offers plenty of room for access to chassis parts and, since the pipe bolts directly and securely to the engine, gear changes and service on the clutch or engine is extremely easy. All mounting hardware, exhaust gasket and coupler are included.